Although not detected in the royal mummies whose DNA has been examined so far, this autosomal ancestry marker is also clearly African in origin. 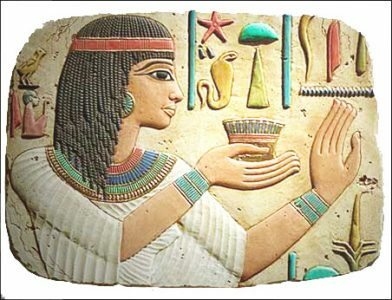 Today it enjoys its greatest spread in Egyptians. About 1 in 10 Africans or African Americans have it, but a sharp spike occurs in Copts, today’s successor population in the Land of the Nile, where up to 27% possess it. About 7% of European Americans have it. Tellingly perhaps, East Coast Indians and Melungeons have it at elevated levels. It is hardly noticeable in Asia, suggesting that it did not form a significant part of the Great Migration of Humanity out of Africa about 100,000 years ago but spread to Eurasian populations primarily from Egypt and the Middle East in historical times. 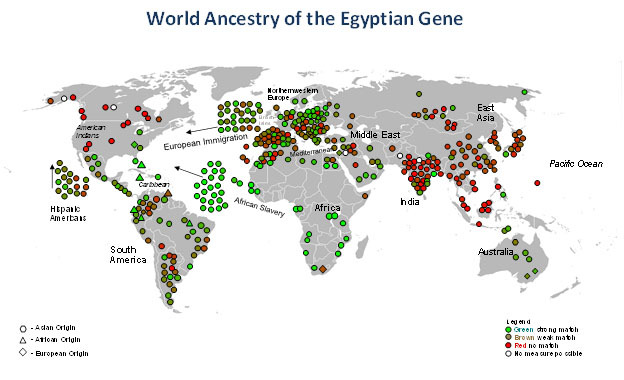 The Egyptian Gene is Sub-Saharan African in origin like others in its series but enjoys a surprising distribution in select populations, including Maya Indians, Northeast Europeans, Melungeons and Jews.